Bayern Munich manager Niko Kovac, wanted to warn PSG that Renato Sanches is not leaving and he confirmed that he is also happy with James. Portuguese midfielder Renato Sanches has made a great impression on manager Niko Kovac at Bayern Munich, he confirmed that he doesn’t want PSG getting in their business and he also praised James Rodriguez for his recent performances. The transfer market is going crazier by the minute, Paris Saint-Germain just went into emergency mode when Barcelona announced Frenkie de Jong’s transfer and this sparked a chain reaction that has every single club with top class midfielders trembling with fear. The French giants are determined to find a proper player who can substitute the absence of Marco Verratti and missing Adrien Rabiot, but their options are too limited and they have started looking in clubs that are quickly turning their backs on them. 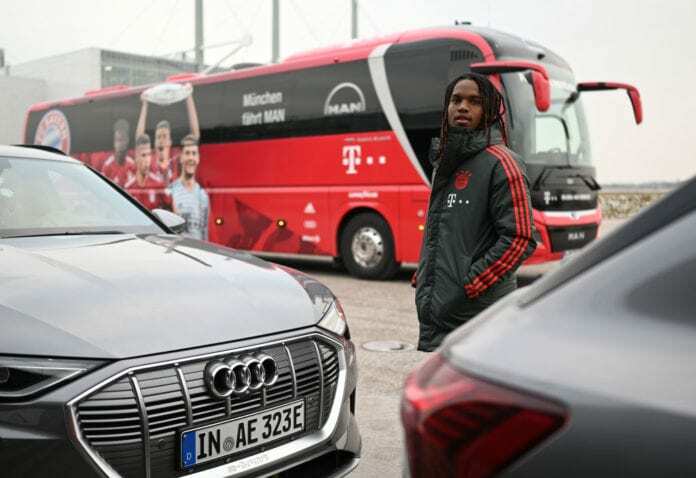 The latest to deny them any chances of negotiation are Bayern Munich, as PSG has reportedly made contact with Renato Sanches’ agent and this has really angered manager Niko Kovac because he considers the young Portugues a key player in his squad. The boss recently spoke about PSG coming after his player, he also hinted that James Rodriguez may not leave because he’s improved a lot lately. "I'm really pleased with Renato and convinced he'll play a lot of games in the rest of this season. "We could have nine games in 30 days in April, which is a hell of a lot, and we’ll need every player." As Bayern Munich gets ready for the upcoming Bundesliga match at Stuttgart on Sunday, Kovac wanted to let the press know that Paris Saint-Germain won’t get away with their intentions of taking Renato away from the Bavarian club. “I made it clear that Renato cannot go, even though PSG was and still is very interested,” said Kovac via Four Four Two. Kovac also praised James and thus hinted at the Colombian also staying at the club: “James is a top footballer, a great kid, but that’s the same for everyone else,” Kovac added. The German giants cannot afford to sell any of their best players at this stage of the season, they have never really been a club that sells their top footballers as they have always been financially stable and their only goal is to compete at the very top for all the trophies for decades. The current Bundesliga season has proved to be quite challenging for Niko Kovac and his players, as they have found an important opposition in Borussia Dortmund and have to climb six points in order to reach the league leaders at the top of the table. So we can easily assume that selling some of their best players this season won’t be something that Bayern Munich will be looking forward to, they need all the creativity and talent they can get in order to keep fighting for all the trophies. The German giants also have Liverpool to think about, they are the squad that will face them in the Champions League’s Round of 16 when February comes knocking on everybody’s door. And also, Bayern is still very much alive in the Pokal with options to win another potential treble this season. Q: Could PSG and Bayern Munich be set to sensationally swap midfielders before the end of the January transfer window? What do you think about Niko Kovac’s sudden change of heart in regards to James Rodriguez’s future at Bayern Munich? Please share your opinion in the comment section down below.